He was flown to a hospital where he succumbed early the following morning. One of the subjects who was wounded in the shootout was taken into custody at the scene and charged with murder. Four other subjects fled the scene and were believed to have returned to Mexico. One of the four fugitives was arrested by Mexican authorities in September 2012 and is awaiting extradition. On October 30th, 2012, the subject who was wounded in the initial shootout pleaded guilty to first-degree murder. 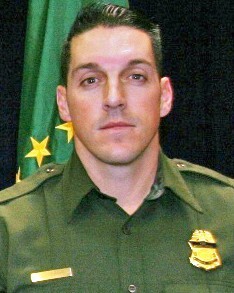 A total of six subjects were convicted of crimes in connection to Agent Terry's murder. 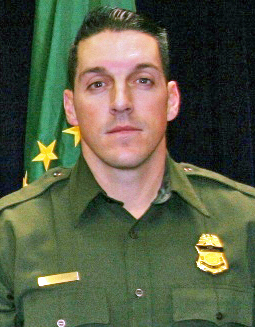 Agent Terry was a U.S. Marine Corps veteran and had served with the United States Border Patrol for 3-1/2 years. He had previously served as a police officer with the Lincoln Park, Michigan, Police Department. He is survived by his parents, brother, two sisters, five nieces, and one nephew and is buried in Michigan Memorial Park, Flat Rock, Wayne County, Michigan. Gone but never forgotten. Rest In Peace.